Every testimony is accompanied by a test; in other words, there is no testimony without a preceding test. As believers of Christ, the Holy Spirit enables us to overcome every test and trial that we encounter or has been placed before us. Following our victories, we are expected to share our testimonies with others. Jesus said in the Acts 1:8 that the Holy Spirit gives us the power to be witnesses of Christ. Sharing our testimonies is also a way we witness Christ to others. Nevertheless, the Bible states in Revelation 12:11 that we overcome the devil by the Blood of Jesus Christ, the Lamb and by the WORD of our TESTIMONY! Learning to share your testimony encourages anyone who hears it. 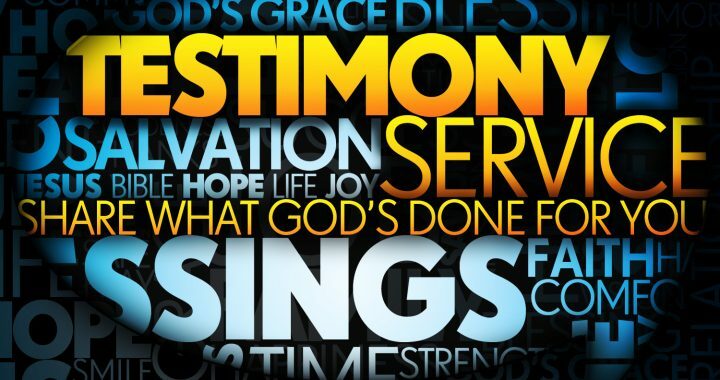 Sharing your testimony gives you complete and total deliverance. Posted in Faith and tagged Believe, Faith, God, Prayer, Testimony, Trust.